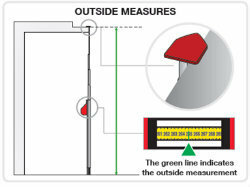 Two reading marks in window for taking inside or outside measurements. Most robust measuring pole available. End caps 5mm thick for inside-outside measurement. 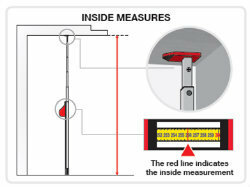 * 1 Metre Measuring Pole - Small and compact. The only Model with two measurements for inside or outside reading.